Fantastic Beasts 3 principal photography has been pushed back to late fall. The third installment was originally going to start filming in July, but it appears that the studio wants more time to properly prepare. Fantastic Beasts 2 was just released in November and is still in some theaters. To date, the sequel has made close to $650 million worldwide, which is nearly $200 million less than the first installment. It has not been revealed why the studio has requested the extra time to prepare, but the box office numbers may have been a factor. If Fantastic Beasts 3 was going to start filming in July, it would have to be in the soft prep process right now. It has been reported that the actors have all been briefed in order to keep their schedules clear for the upcoming production start. The project is expected to hit theaters on November 20th, 2020 and there has not been any announcements about pushing the release date back as of this writing. However, that could easily change in the next few months. Fantastic Beasts 2 received mixed reviews from fans and critics for a story that seemed to be too cluttered. Additionally, many feel that the all-star cast wasn’t utilized in the best way. Speaking of the cast, many Harry Potter fans were upset that J.K. Rowling and the studio chose to work with Johnny Depp after allegations of domestic violence became public. The decision to have Depp stay on board for Fantastic Beasts 3 has also been met with criticism by long-time fans of the franchise, who may not go to see the movie for that fact alone. David Yates is still set to direct Fantastic Beasts 3 with David Heyman, Steve Kloves, Lionel Wigram, and J.K. Rowling on board to produce. As for the story, that obviously isn’t public news at this time and it’s way too early to tell. But, it will hopefully solve some of the plot holes from Fantastic Beasts 2 and offer a clearer storyline. Rowling is pretty active on social media and when one fan asked her what the story will be about, she simply said, “answers are given.” That’s about all of the information that the author has teased so far. 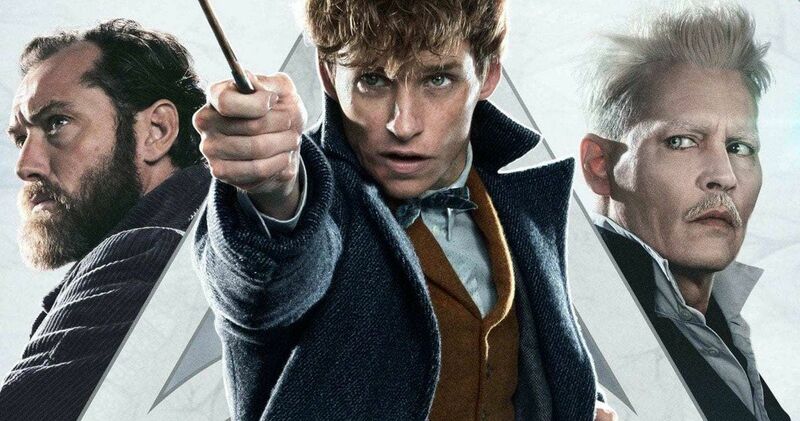 Harry Potter fans have looked at the Credence twist in Fantastic Beasts 2 as a plot hole, but Ezra Miller has asked everybody to put their trust in J.K. Rowling, meaning that she obviously did this on purpose. One would have to imagine that Rowling has more progressions to introduce as the franchise continues over the next few years. After the third installment, we have movies four and five to look forward to, so there’s still plenty of ground to cover and answers to be given in the future. For now, fans are just going to have to be patient as J.K. Rowling keeps writing. The Fantastic Beasts 3 production delay news was first reported by Deadline.